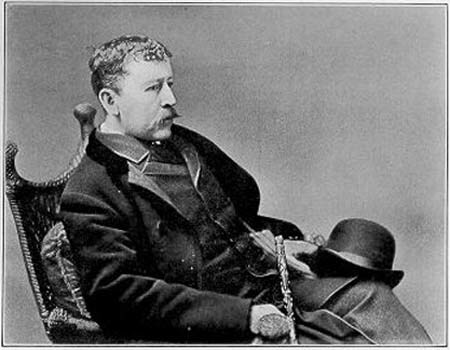 Thomas Bailey Aldrich (1836 - 1905), a poet, novelist, travel writer and editor, was born in Portsmouth, New Hampshire. Drawing from the time in his youth preparing for college, Aldrich wrote his semi-autobiographical novel The Story of a Bad Boy (1870) which was acclaimed as the first realistic depiction of childhood in American fiction. It lay the groundwork for the genre, a precursor to Mark Twain's The Adventures of Tom Sawyer. Aldrich quit college and moved to New York at the age of 16, writing for several newspapers and magazines, He quickly befriended other young artists, poets, and wits-- including Walt Whitman, Fitz Hugh Ludlow , and Bayard Taylor -- in the metropolitan bohemian scene of the early 1860s. He wrote for a New York newspaper during the Civil War, edited a magazine in Boston for ten years, and went on to edit the prestigious The Atlantic Monthly between 1881-1890. Aldrich continued his private writing during these years, becoming best known for his short poems, where he distinguished his lyrical skills by describing single moments, pictures, and mood in dramatic details. He published several volumes of poetry, chiefly The Ballad of Babie Bell in 1856, and a half dozen others. His best regarded poems include: Destiny, "Nameless Pain," "The Tragedy," "Seadrift," "Tiger Lilies," and Identity, only 8 lines. Aldrich wrote a number of short stories as well, full of realism and quiet humor. He published Marjorie Daw and Other People in 1873. His action-filled novels include The Queen of Sheba (1877), and The Stillwater Tragedy (1880). Based in his birthplace of Portsmouth, humorous works include A Rivermouth Romance (1877) and An Old Town by the Sea (1893). When his son contracted tuberculosis in 1901, Aldrich built two houses on Saranac Lake, New York, so he and his son's family could be close to the leading treatment center for the disease. Unfortunately, his son died in his 30s. Aldrich's last recorded words before his death in 1905: "In spite of it all, I am going to sleep; put out the lights."